Editor's Note: This is quite an impressive suite of tools. 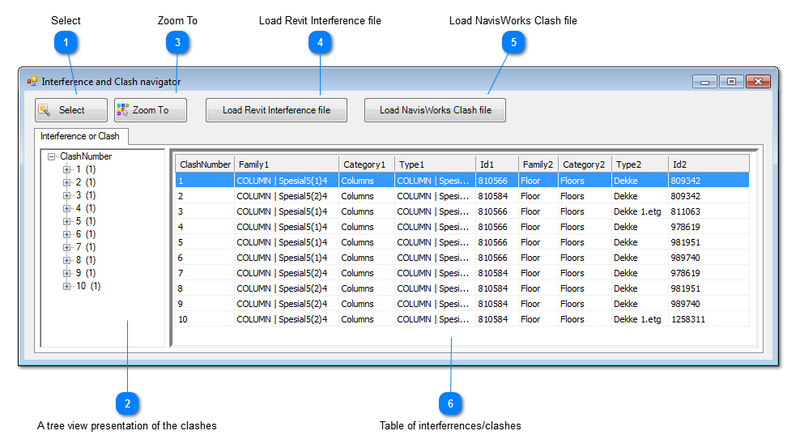 It features things we don't often see, like QA/QC and a clash management. We also like the "Power" features, which make novel use of keystrokes and also provide a right-click pop-up palette and radial menu. We'll try to find out the price so we can judge the overall value but, at first blush, Revit Productivity Kit looks quite impressive indeed. 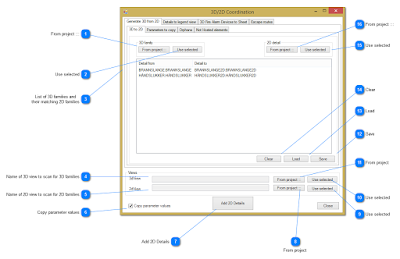 Are you a Revit user or a Manager in a BIM project? Then RPK will be a worthwhile addition to your tools. We have borrowed this term from ice hockey because we feel that using RPK gives the user an advantage over the other non-users! In particular the combination of some special shortcuts that have been integrated smoothly into the workflow. Senario 1: While moving from one 2D view to another 2D view. The second view will zoom to same place and size as the first one. 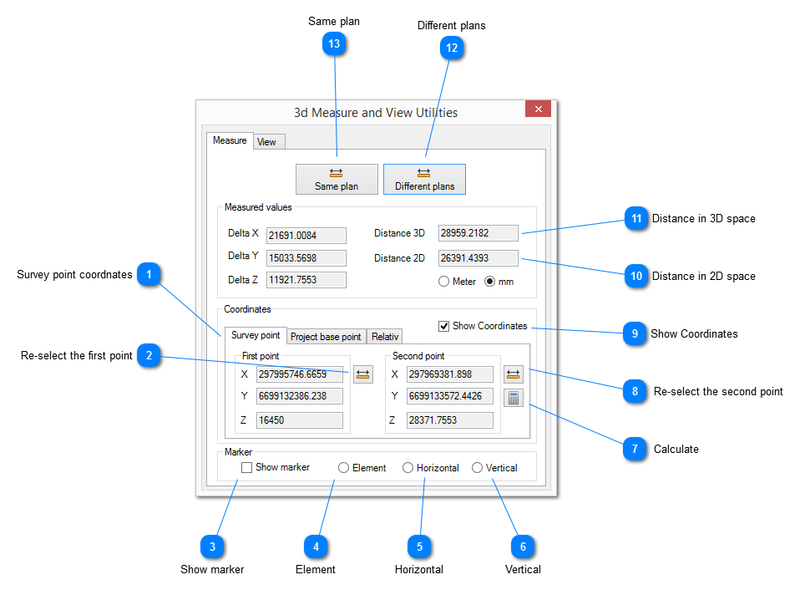 Senario 2: While moving from a 2D view to a 3D view. 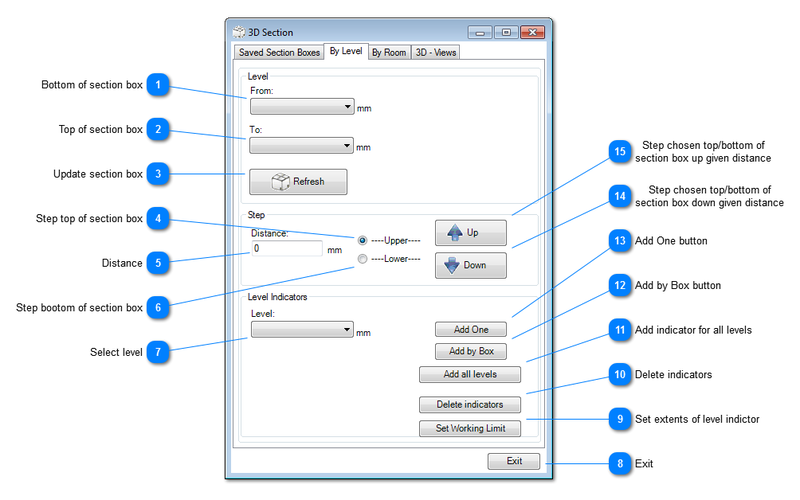 The 3D view will get a section box set equal to the View Range of the 2D view you came from. Senario 1: While in a 2D view pressing this combination will open a view of the level above and zoom to same place and size. Senario 1: While in a 2D view pressing this combination will open a view of the level below and zoom to same place and size. Senario 1: While in a 3D view with an Section Box on, pressing this combination will move the top of the section box in the direction you scroll. Default scroll step is set to 500mm. Senario 1: While in a 3D view with an Section Box on, pressing this combination will move the bottom of the section box in the direction you scroll. Default scroll step is set to 500mm. Senario 1: While in a 3D view with an Section Box on, pressing this combination will move the whole section box in the direction you scroll. Default scroll step is set to 500mm. Brings the Setup dialog box. Here you can choose if the scroll will use a set distance or jump one level at a time. 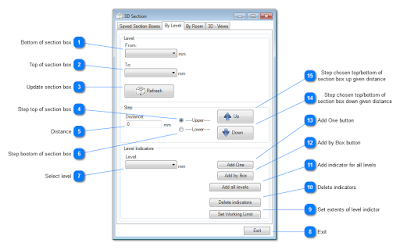 Choose levels to use: Choose which levels to use if the Section Box is set to step by levels. 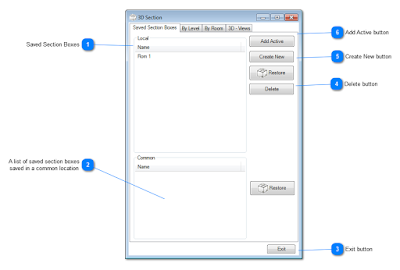 We have added the Power Menu to the right click menu in Revit. When you first install RPK this menu will only contain our company name, an arrow and a check box. 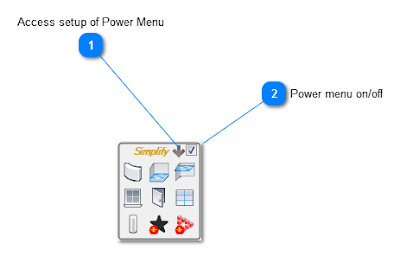 By clicking the arrow the user can access the configuration of the Power Menu and compose their own menus with any of the commands she/he use the most. Power menu on/off: Use this check box to show or hide the Power Menu. You can find it either above or below the right click menu. Leave the cursor on it until it turns red/fills up or for those of you of the impatient type, click it! This tool will take the guessing and endless search for "what might have happened" to elements already checked and approved. 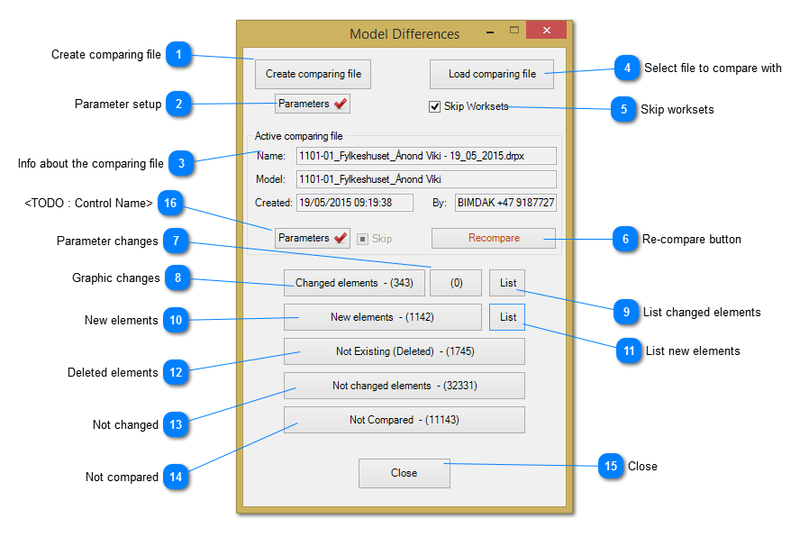 Any model you want to compare needs to be open in Revit before you run the tool. Click the button "Create comparing file"
Select a location and name for the you are about to create. By default this will be the name of the model and the date you create it. The groups should be self explanatory. You may wonder why we have included the last group. The reasoning is that the more you know the better your the understanding is of what is going on. 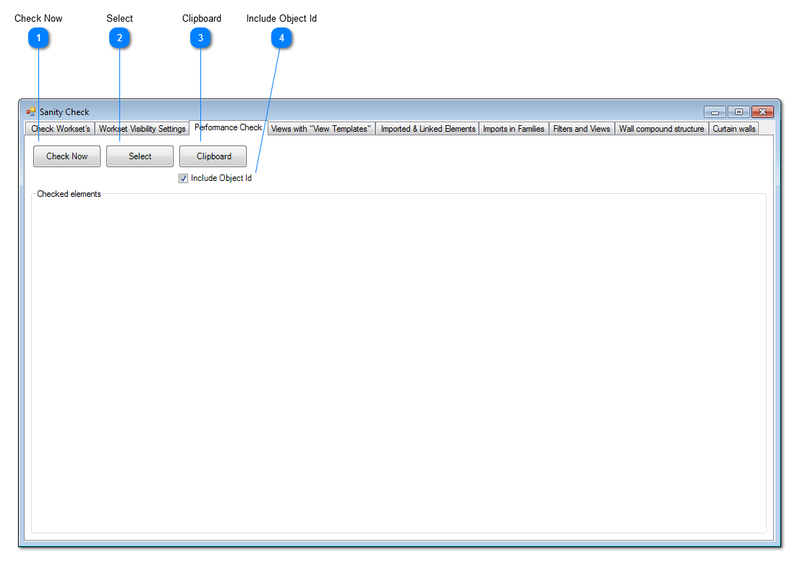 We have divided the dialogbox into two areas; the tree view on the left and the grid view on the right. 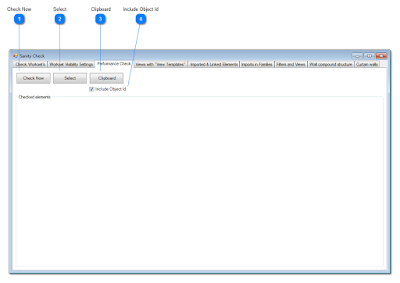 As the dialogbox opens , everything shows in the Grid View. 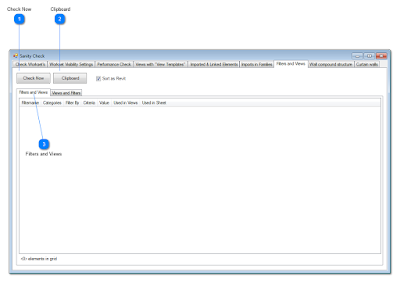 As soon as you select something in the Tree View, the Grid View changes to show only that group. Create comparing file: Use this to take a "snap-shot" of the model at this point in time. The suggested filename is model+date. Depending on how often you choose to take a snapshot you might want to add time as part of the name. Parameter setup: You can include parameters for later comparison. 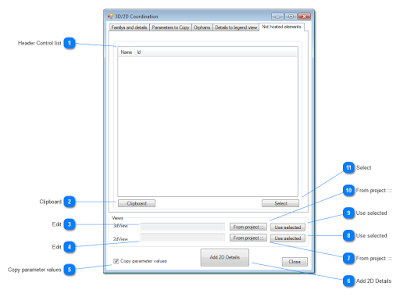 Skip worksets: In files where worksets are not used, this will speed up both the creation of the snap-shot and the comparing. 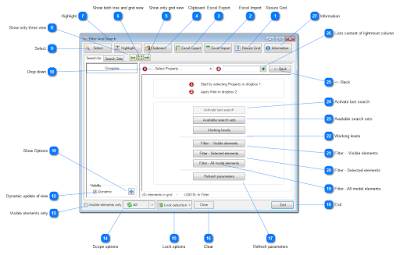 Re-compare button: As you fix issues that the comparing action exposes you often want to run the compare again. This is a good way reduce the often long lists that results from a compare. Graphic changes: Lists how many elements have changed shape. 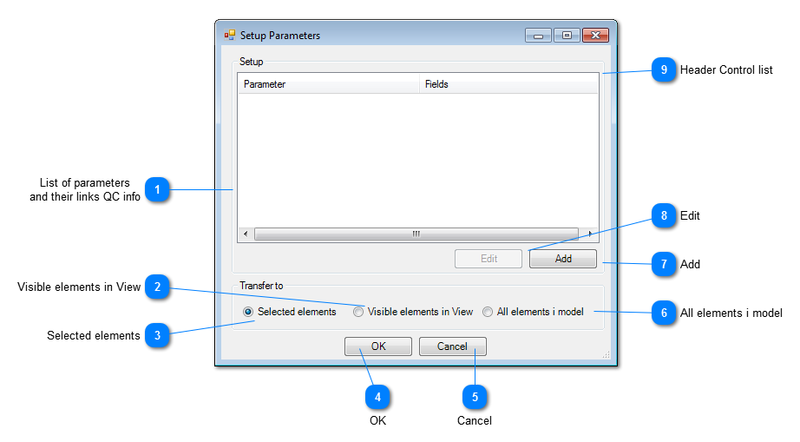 Clicking this button selects the elements in the model. 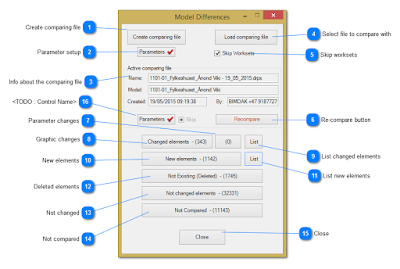 New elements: Lists how many new elements there are in the model compared to what was in the file you loaded. 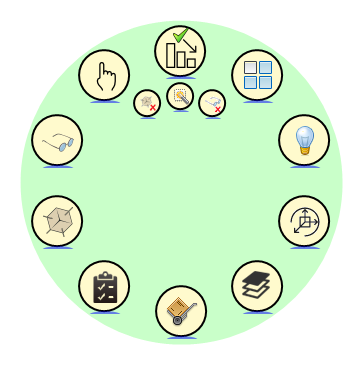 Clicking this button selects the elements in the model. 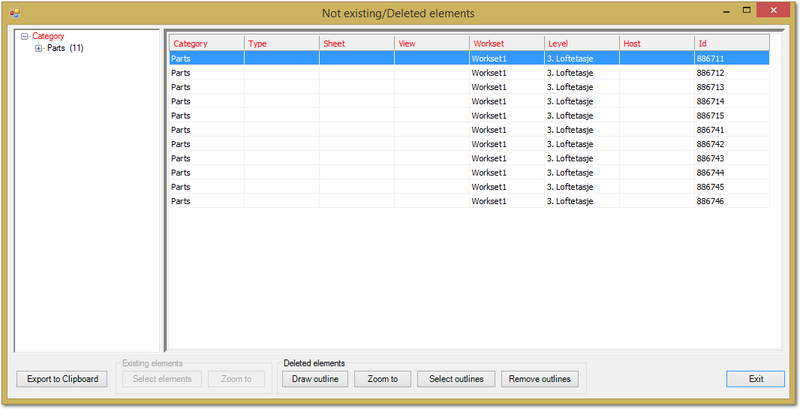 Deleted elements: Shows how many elements have been deleted compared to the file you loaded. Clicking the button brings up this dialog box. 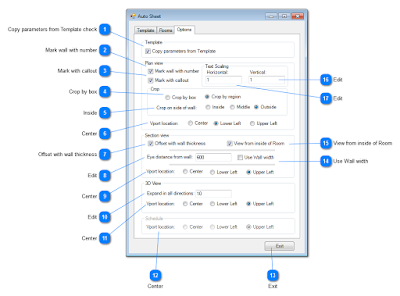 Select outlines: Select the lines drawn by the "Draw outline" button. 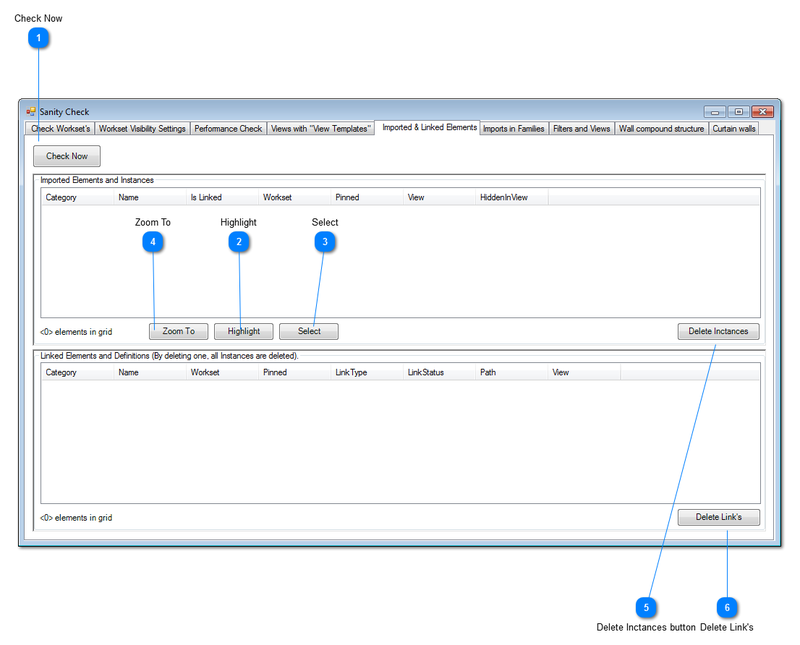 This makes it easier to put them on a separate workset for later use. 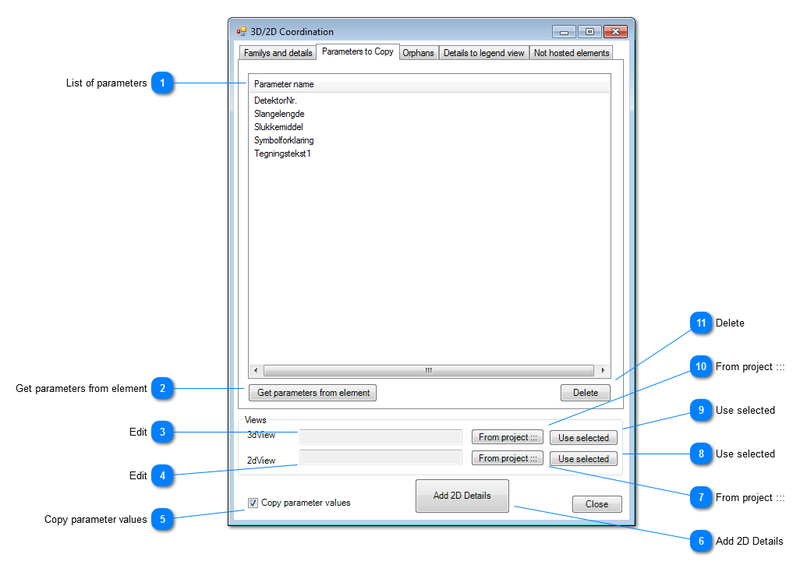 Remove outlines: Deletes all elements created by the "Draw outline"-button. This applies also to elements on closed worksets! Add selected parameter to the list: Clicking this button adds the respective parameter to the current level in the list. 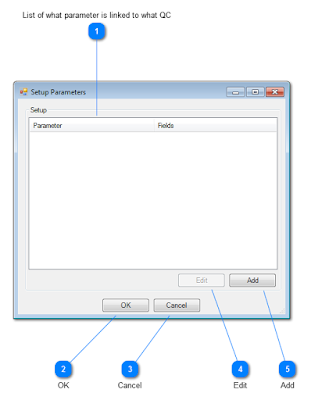 This will replace selected parameters already in the list. 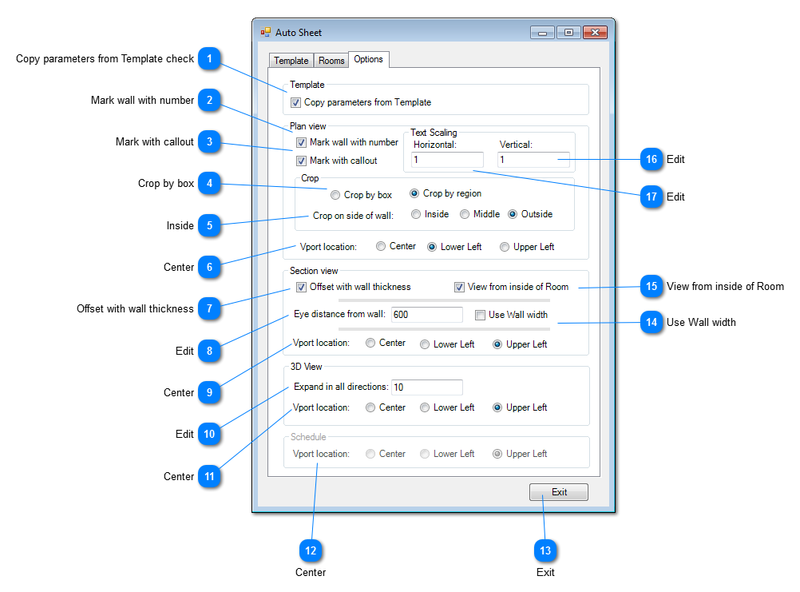 List only parameters visible to user: Revit stores much more information about families and views than what is shown to the user. This info can also be useful. 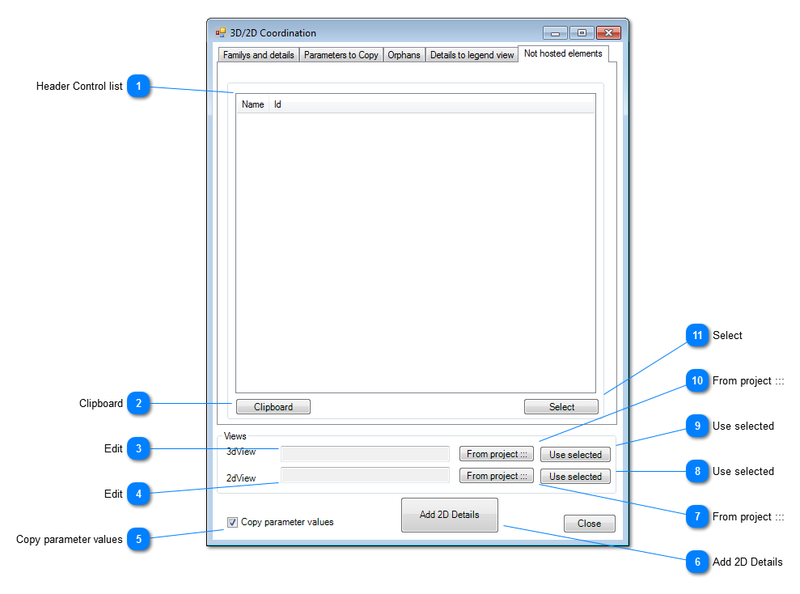 This tool simplifies the placement of 2D families based on an existing 3D family, linking the two together for easy removal of 2D elements if the 3D family has been removed. 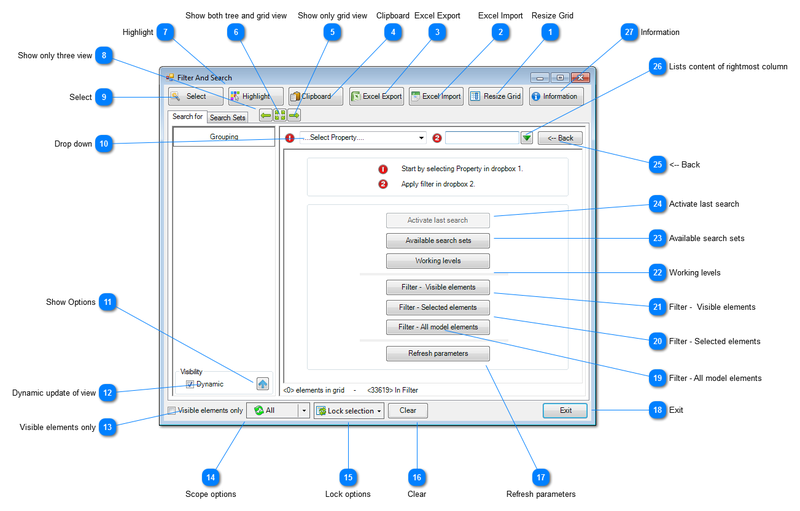 The interface is divided into five tabs. Each one dealing with a specific part of the process. 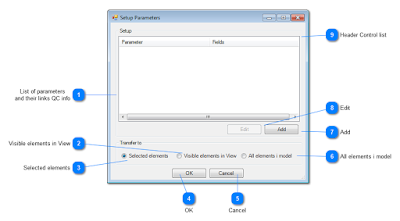 List of parameters: This shows the list of parameters that will be copied from the 3D families to the 2D families as they are placed in the view. During this process RPK will also create a link between each 3D and its corresponding 2D family. This way only the 3D family needs to be deleted later on and the tool can be run again an find any orphaned 2D family! 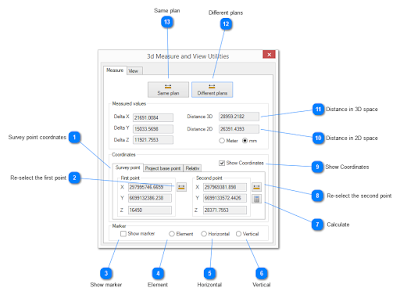 3D measure - the long awaited ability to measure in 3D space! View utilities - allowing you to save and restore 3D and camera views. Show marker: This places a circle at the measured point. 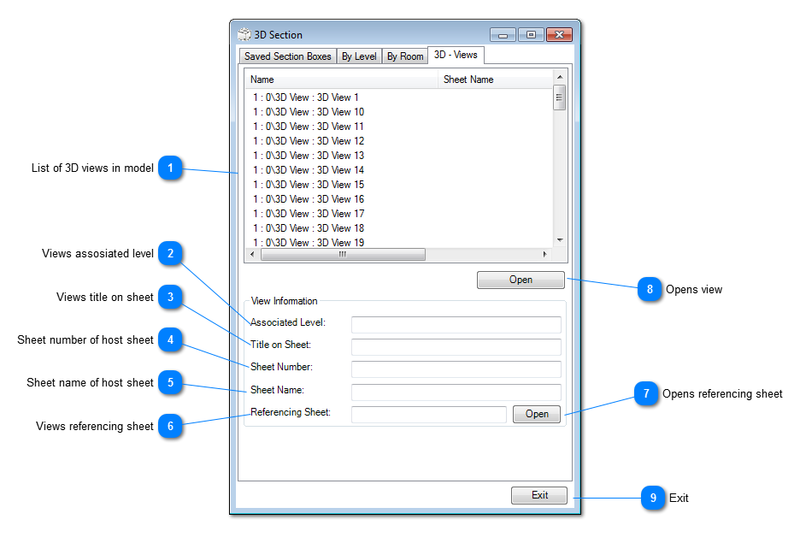 Using this tool will dramatically speed up the slow, tedious and boring job of creating multiple views and sheets including the placement of said views on sheets. 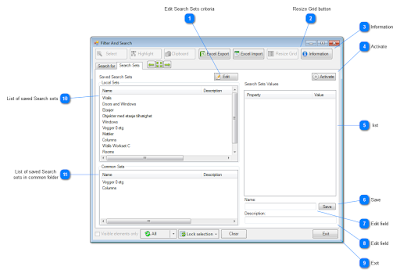 Filter & Search gives you a quick and easy way of finding ANY object on the model. Including view dependent objects! Why would you search for objects, you say? Well, any command you use to alter existing objects asks you to select objects so to select them you first need to find them. 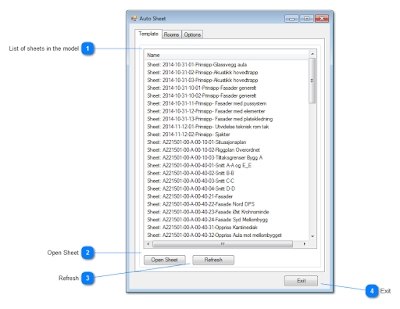 First time you start F&S it uses a few extra seconds to scan through the entire model and prepare a list of all the parameters of all the objects. Orange = Parameters "added" by us. By adding we mean that this info exists in the model but not necessary as one single parameter. The two main areas in F&S gets populated. The left area is referred to t the Tree View. The right as Grid View. The Tree View shows the elements in a cascading style with the number objects in parentheses at the end. 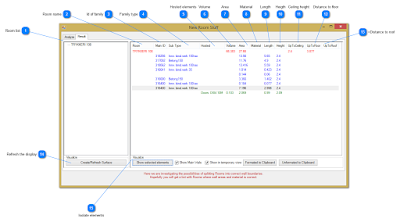 The Grid View shows each object line-by-line. As you will quickly realize using only the Grid View would mean endless scrolling. But if you select a group, for example Ceilings, the Grid View would only show 40 lines of info instead of the, in this case, 33020 elements! 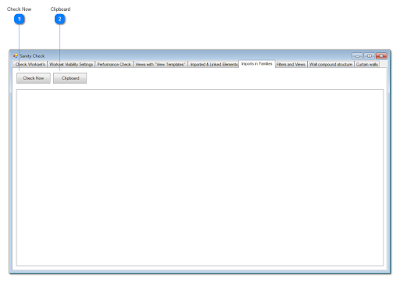 Click on the header of any column in the Grid View to sort alphabetically. A second click will reverse the sorting order. 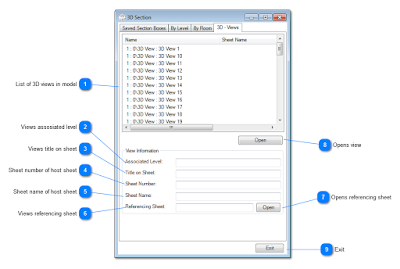 Use drag-n-drop of columns in the Grid View to change the order. The Tree View will automatically mirror this change. Right clicking on the header of any column in Grid View will give you the option of adding a filter, acting on that column, to further reduce and thereby more quickly find what you are looking for. 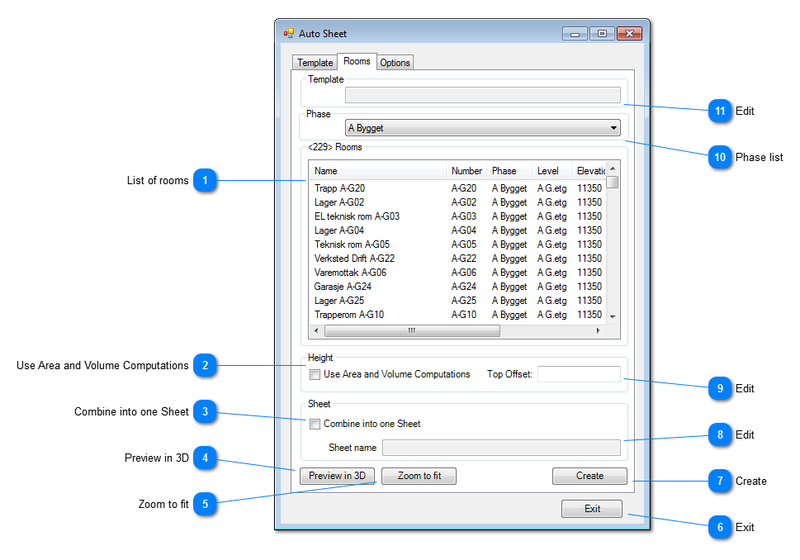 The green arrow in the top right part of Grid View will list all the values of the last column in ascending order. Choosing one or more of them will act as a filter on the last column. 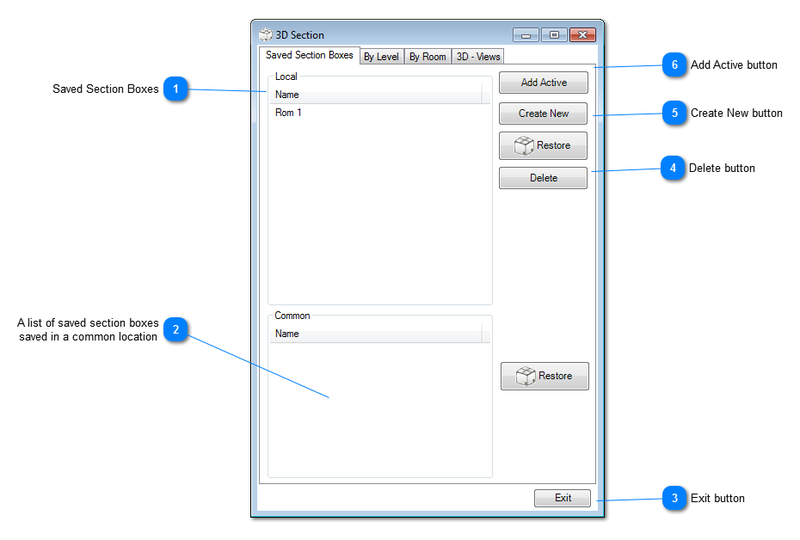 The bottom part of the Tree View has a check box that makes the active 3D view update in real-time based on what has been selected in the Tree or Grid View! This makes visualizing the results of a search and further manipulation of them MUCH easier. 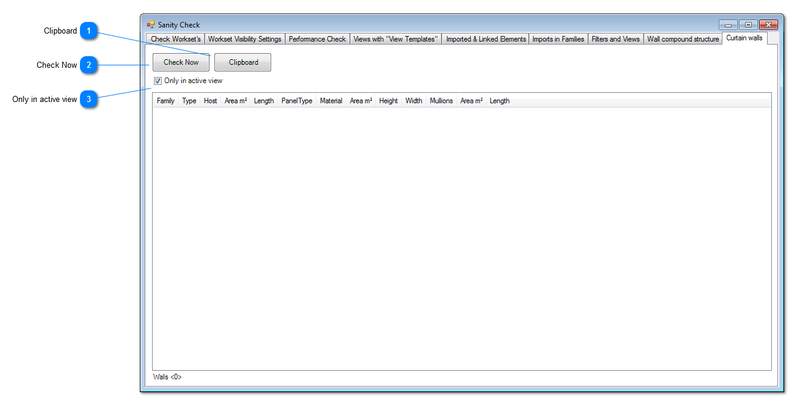 Having spent even just a short amount of time using F&S you will see that many times you select the same parameters. 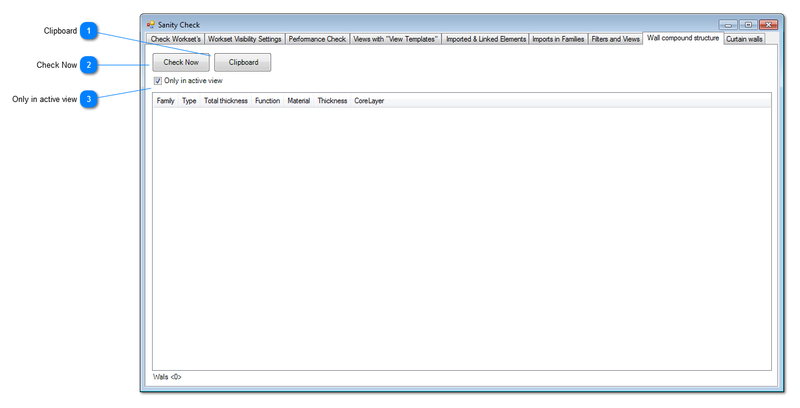 So instead of doing this manually each time you can save your current set of chosen parameters as a search set. Next time you need it all you have to do is double click on it. In the lower right hand corner enter a name for the search set. Optionally you may also add a description on the line below, maybe describing when or why you will use this set. Top left corner shows a list of all the search sets you have made. Double click on any of them will activate it. 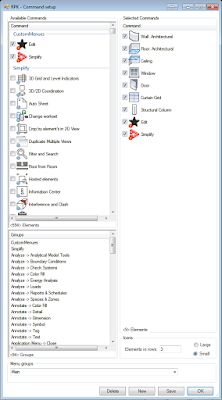 Excel Import: Import current tab in an open Excel sheet to Revit. Remember it MUST include the ID parameter. Only instance parameters updates. Highlight: Highlights elements selected in F&S on the screen. 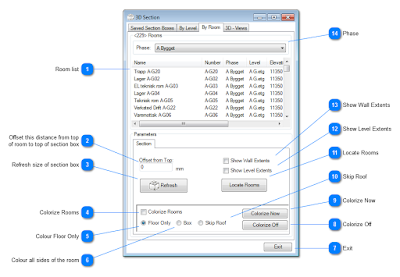 This is useful when large amounts of data has been selected as Revit performs this much quicker than actually selecting them. 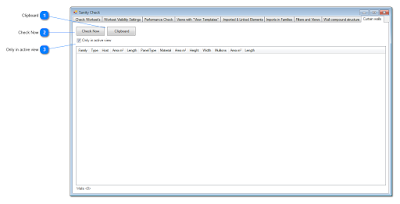 Resize Grid button: Automatically resize the width of the columns in the grid view to fit the widest value. Be aware that if your grid view contains thousands of fields this may take several seconds! 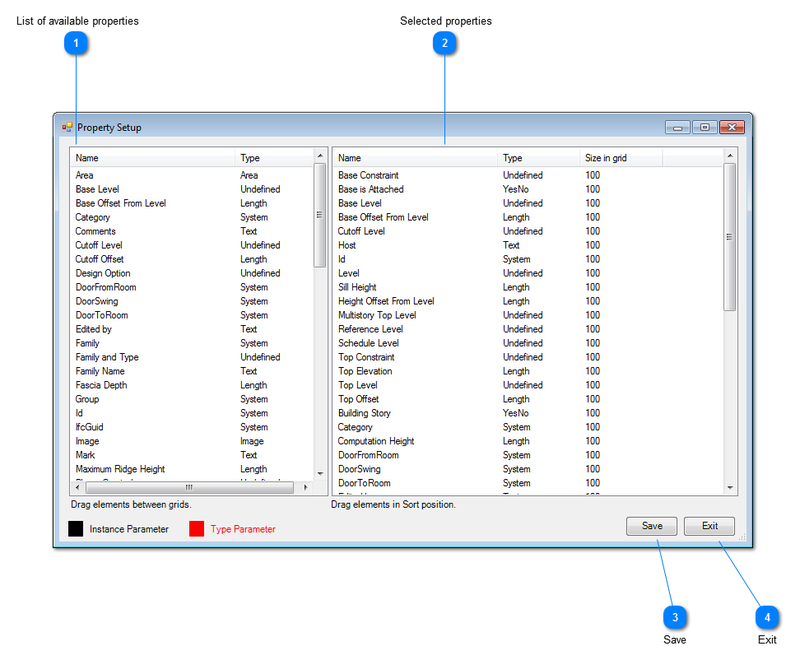 properties box in Revit is that this shows all the properties you want. Both when selecting multiple types of families or only same kind. And not just the ones common for the families selected. 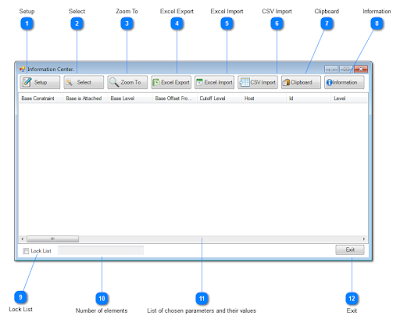 Excel Export: In the grid, select what will be exported to Excel. 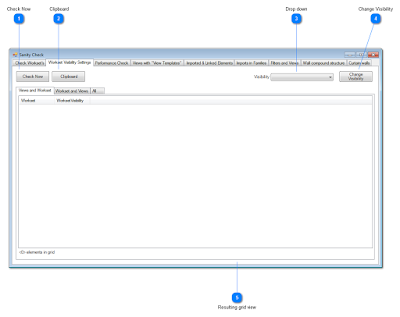 RPK opens Excel with a new workbook and places the contents selected into it starting in cell A1. If you wan to import altered content back to Revit be sure to also export the ID parameter! 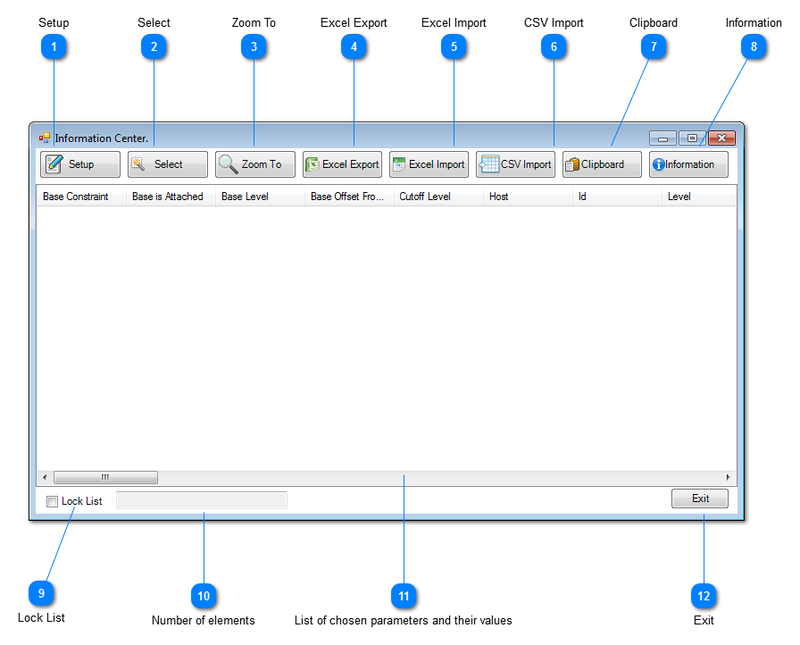 Excel Import: Importing data form Excel requires you to first open the spreadsheet in Excel. There will be a dialog box showing witch columns will be imported. This box is only meant as a last step for you to see what will be imported. You cannot make any changes here. CSV Import: If the data you want to import is not already in a excel spreadsheet this option will save you that extra step. 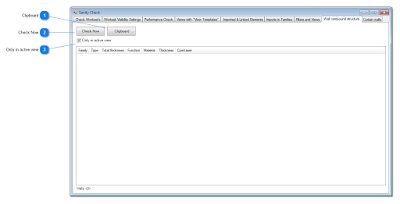 Clipboard: Here you can send the selected data to the clipboard on your computer so that you can paste it into any other program you might like. Lock List: The data listed in IC is dynamically updated as you select families in a view. But sometimes you might want to freeze this info as you work. 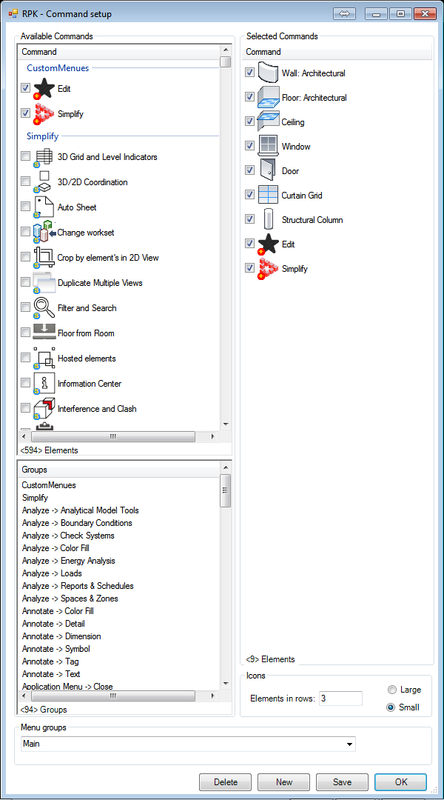 List of available properties: This list of properties shows all the properties available for the objects selected BEFOR clicking the "Setup" button. 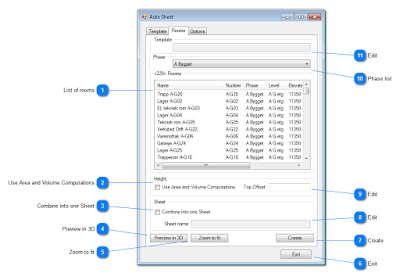 Use "drag-n-drop" between this and the area on the right to select witch properties you want to list in IC while working. 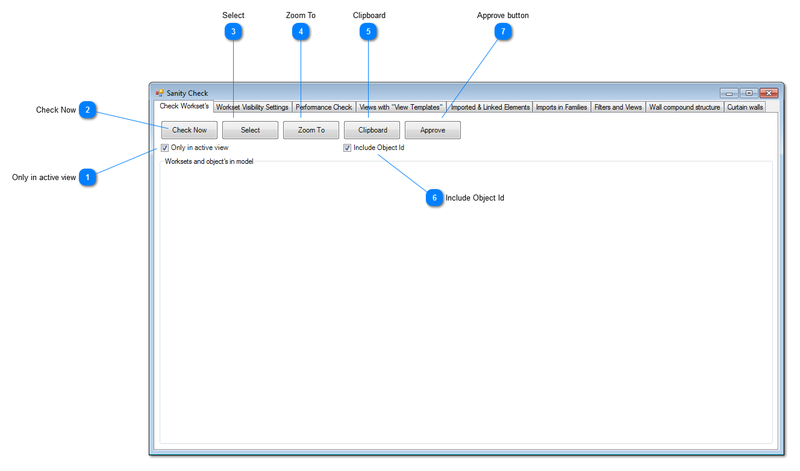 Once you have placed properties onto the right side you can also use "drag-n-drop" to re-arange the order. 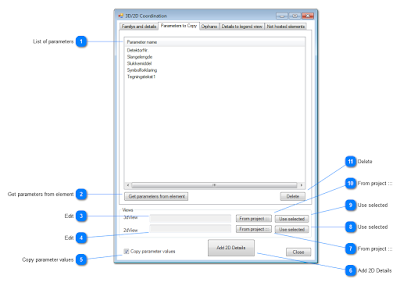 Save: Remember to save the selection you have made before exiting the Setup. 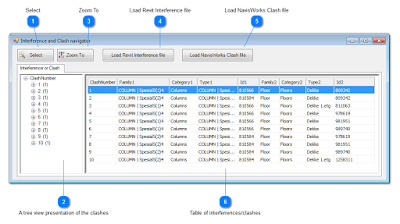 This tool makes stepping through the list of clashes found by either Revit or Naviswork a breeze! Open the appropriate file and use the right click menu to quickly find each element and set the section box in none smooth move! 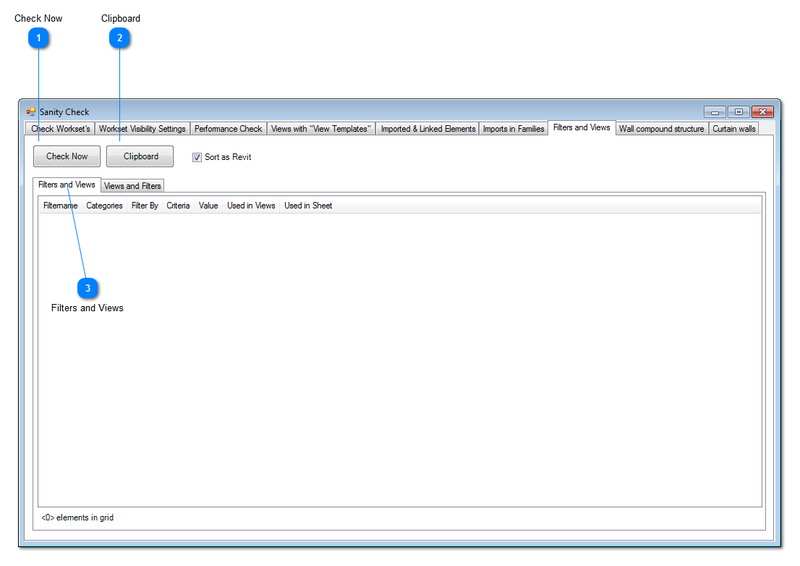 Select: When you have selected an object in the grid, use this button to select it in the view. This is where we present new ideas we are working on. The current contents aim to tackle the need to extract wall area based on a per room basis. This eliminates the need to split up a wall spanning several rooms. Placement of "dummy" wall: Here you specify where the new wall will be placed in relation to the existing wall. When you run the analysis RPK can place either a wall or a surface parallel to the original wall of the model to better visualize the results. Height: The height of the analyzed area. This will be maximum the same as the valued in the next column. Control room is comprised of three tools. 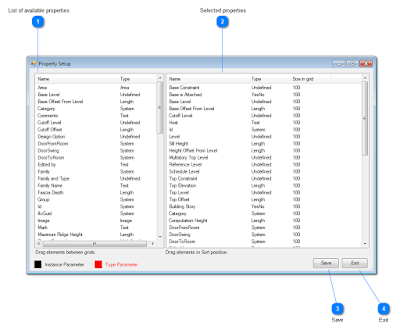 This tool lets you give each object a value to indicate its level of readiness. This gets transferred to the IFC file also. 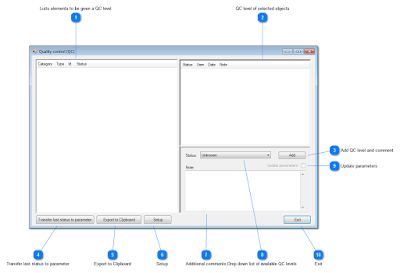 Lists elements to be given a QC level: This are shows the objects selected prior to starting the QC command. QC level of selected objects: This shows the current QC level of objects selected in area 1. 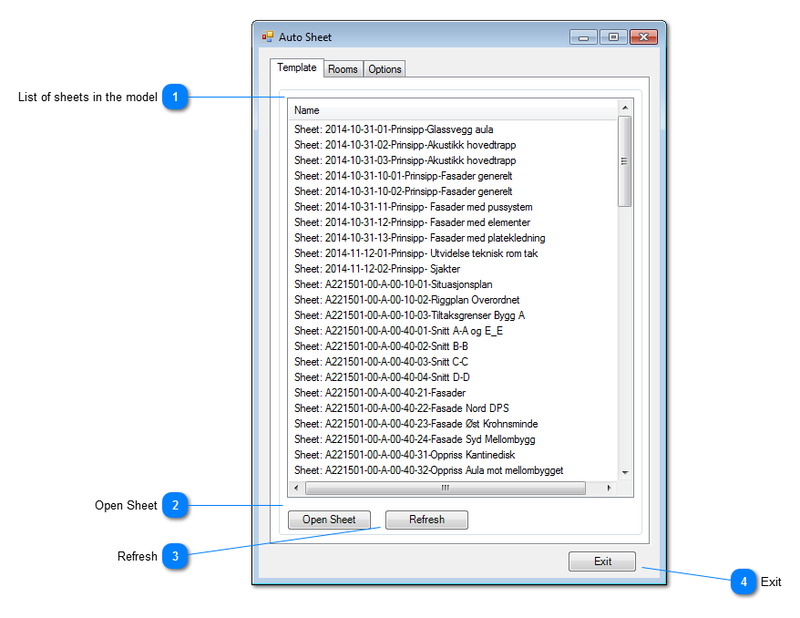 Every Revit model contains warnings. This impacts the speed of the model, it often generates more warnings, it lowers the overall quality of the model and it forces the user to double check schedules. This is a collection of tools that otherwise would be almost impossible to do manually. The result is a huge increase in the quality and consistency of the BIM model. 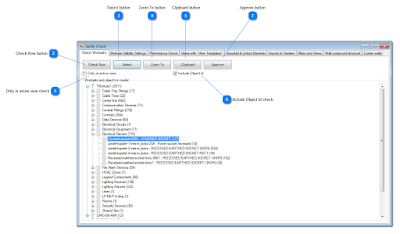 Use this tool to scan through the model to get a list of all the worksets and what kind of objects belong to them. When you click the "Check now" button it scans through the model and lists all the worksets found in an alphabetical list. 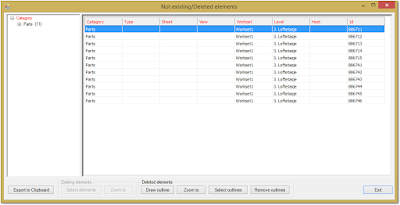 At the end of the workset`s name there will be a number showing how many objects where found belonging to that workset. 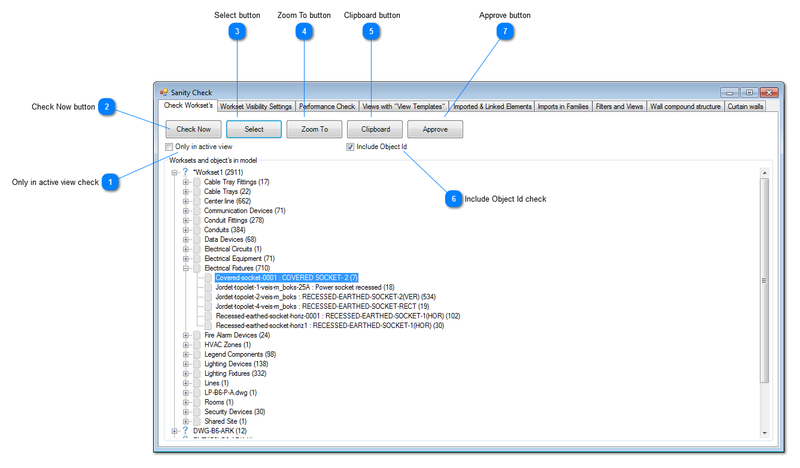 If a workset does not contain any objects, there will be a green check mark before the name. If a workset does contain objects there will be a + sign allowing you to expand the group to see the different objects, grouped by Type, followed by a number showing how many of each type. 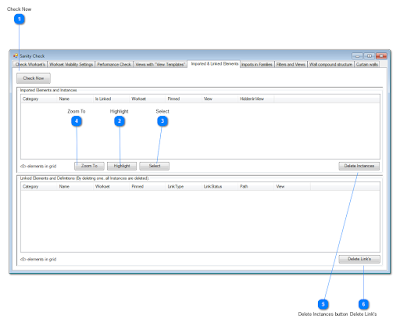 If you find any objects belonging to the wrong workset, simply right click on it and select "Change workset"
Select: To speed up the application we let the user decide when the element will be selected in the model. 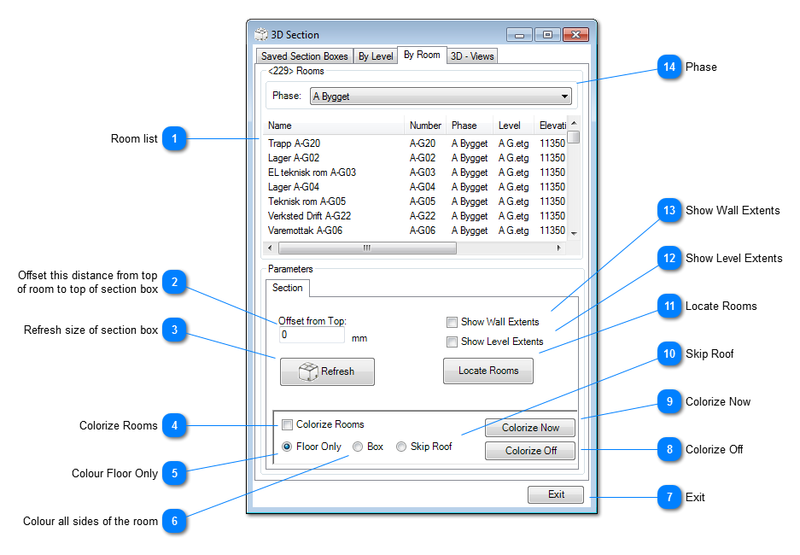 As any user of Revit knows, selecting large amounts of objects can take some time so use it wisely. 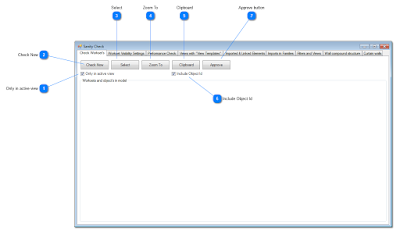 To make it even easier to place objects on the correct workset you can set up rules stating what objects are allowed on what workset. 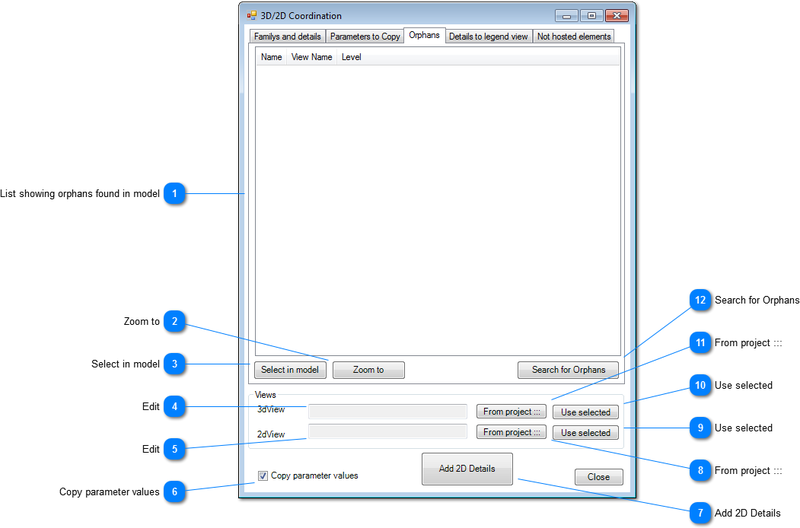 Click on this button and a list of all the types of object in the project appears on the right side of this dialog box. Go through the list and place a checkmark next to the ones you want and finish by clicking the "Save" button in the lower right corner. 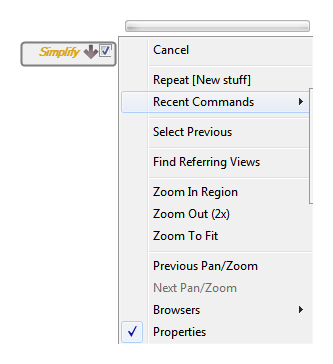 Revit Productivity Kit is brought to you by Simplify AS. Pricing was not known at press time. A free 30-day trial is available. 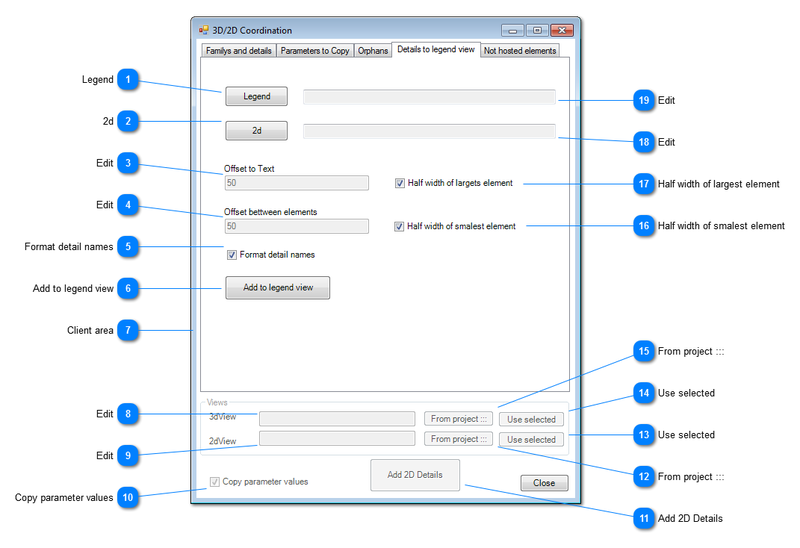 This add-in is offered in version compatible with Revit 2017 and 2016. There's more information available on the Simplify AS website.